Dental Implant 101: The Different Types Of Dental Implants - Trusted Dentistry. More people probably have dental implants than you think. Three million people already have dental implants, and that number is growing by 500,000 annually. With so many people having dental implants, it’s important to learn a little bit about them, in case you ever need dental implants of your own. Dentists will suggest dental implants when a tooth removal is necessary. A replacement tooth can prevent jaw bone damage and generally improve comfort for the patient. If you’re dealing with a broken tooth or need to have a tooth replaced, visit your dentist and ask if a dental implant is right for you. Dental implants are typically broken up into two main categories based on the procedure used to implant them: two-stage and single-stage. Two-stage implants require two separate procedures to properly install. The first procedure involves the initial placement into the jawbone and stitching up the gum surrounding the area. Later, a second procedure is done to attach an abutment and perform a bit of restoration. The most common type of two-stage implant is an endosteal implant, used primarily as an alternative to a bridge or removable denture. Single-stage implants are implanted, as the name would suggest, during one procedure. A slightly longer implant is used, which will leave the head of the implant exposed after surgery. This way, after the gum has had time to heal after the procedure, restoration and abutment can be done without the need for an additional procedure. The most common type of single-stage implant is a subperiosteal implant, which is primarily used to hold dentures in place for patients with low bone height. 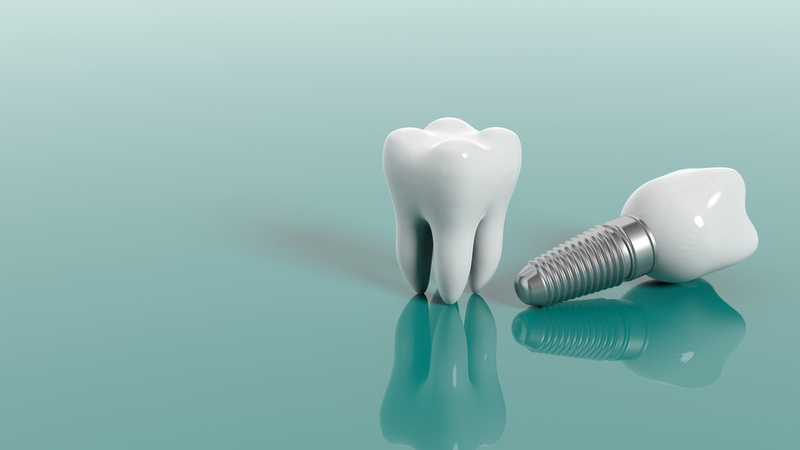 There are many other factors that must be considered when installing a dental implant: the coatings, the connectors, the length and size of the implant, and more. Getting a dental implant is a complicated matter best discussed at length with your dentist to ensure you receive the best treatment possible. In need of a dental implant or other emergency dentistry? Contact Aegis Dental Group at 833 -2- TRUSTED to learn more about what options are available for you and to receive the best treatment for your individual situation.